Alongside today's launch of OS X Mountain Lion, Apple has updated a number of its Mac applications to take advantage of new features and ensure compatibility with the new operating system. One of the key updates is to Apple's iWork suite, which has seen the addition of support for iCloud and Dictation. For those users who purchased iWork apps through the Mac App Store, updates are available for Pages [Mac App Store], Numbers [Mac App Store], and Keynote [Mac App Store]. For those who installed iWork from a disc, Apple is offering iWork 9.2 Update via Software Update. - iCloud: Store documents in iCloud, and keep them automatically up-to-date across your Mac, iPad, iPhone, iPod touch, and the web. Changes made to a document on one device, automatically appear on all your other devices. This requires iWork for iOS 1.6.1 or later to be installed on your iOS device. - Dictation: Speak words, numbers, or sentences, and watch them appear in your presentation, document, or spreadsheet. The iWork apps are also enhanced to take advantage of the Retina display on new Mac hardware, so presentations, documents, and spreadsheets appear sharper and more vibrant. 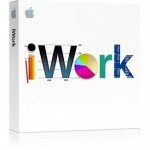 I find it very surprising they are continuing to use the "iWork '09" name... drop it Apple! At least they acknowledge that it’s essentially still the same software. It hasn't been updated since it was released, with the exception of compatibility updates (as this one). And it makes me mad. I love iWork, but it hasn’t been properly updated for years! There are still many bugs present and there is a lot of room for improvements. I wonder why iLife gets so much attention whereas iWork has received only very little. And now that iWork.com is gone, they basically removed one of the advertised features of iWork and replaced it with a more shallow iCloud support. I would like to see a OneNote-like note taking mode and references management in Pages. Keynote is perfect as far as I'm concerned. I don't think we've seen updates because the devs have been working on the iOS apps. Innocent question just out of curiosity: what features do you want added to iWork? Or do you just want change for the sake of change? Primarily, I want them to fix bugs. My biggest grief with Pages so far is the line-spacing bug, which makes lines appear irregular once printed or exported to PDF (it’s clearly noticeable). Furthermore, Pages can’t really handle larger documents, especially with several tables in it. Feature-wise I am looking for more customisation options. I can’t format footnotes and lists the way I want them, heading and paragraph styles are too limited (for example if you have consecutive headings, they all use the same spacing, whereas MS Word allows me to change that behaviour for different headings). Hyphenation is not customisable and the default option is just not good enough. These are just a few things I want. When working with larger text documents, MS Word is just far more powerful, even though the features I am looking for are more or less basic. I don’t like to use other programs, because I find them too clunky to use, especially MS Word. Pages is a really good app with a clear and useful user interface, but it just lacks features that makes it outstanding for papers, theses or other academic documents.